Europe's energy transition involves an unprecedented shift in the way markets, networks, technology and policy interplay with one another, as WindEurope mentions. The PowerFacts Europe report provides an overview of all the relevant data required to understand this process. It consists of six chapters, adding to the traditional triangle of sustainability, market and security of supply; infrastructure, customer and digital grid. Each chapter contains relevant data points - mainly from the TSO community - that allow one to better apprehend each dimension that forms part of Europe’s energy transition. 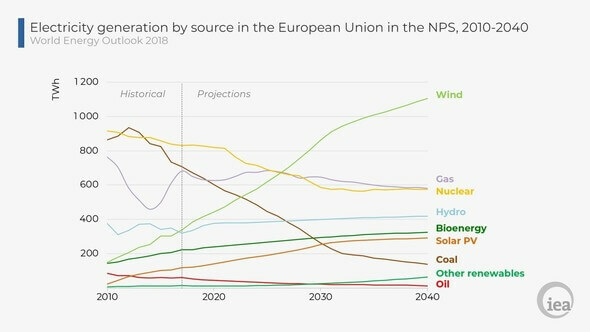 At a recent event, WindEurope's CEO Giles Dickson welcomed the report and noted that the data outlined supports the argument for a renewables-based electrification of Europe’s energy mix, as outlined in WindEurope’s recent Breaking new ground report. The CO2 intensity of electricity is rapidly falling, which means that the electrification of our energy uses can play a major role in the decarbonisation of our energy system.